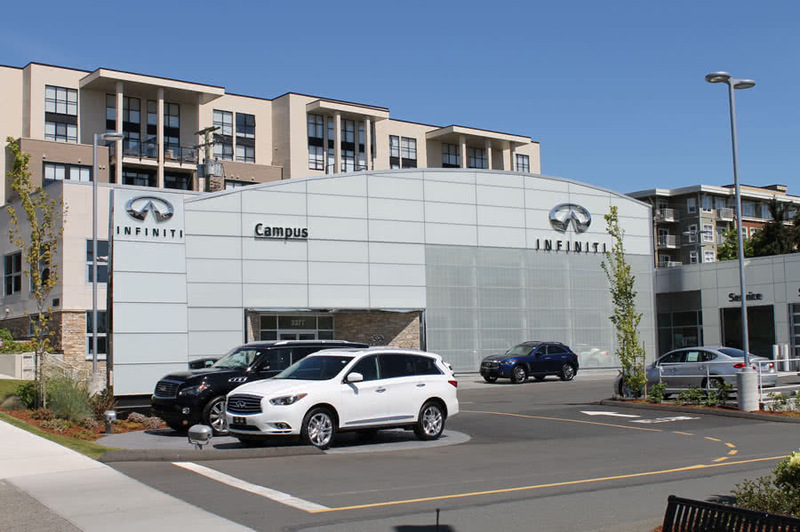 Completed in January 2011 the Campus Infiniti dealership is located adjacent to Campus Nissan. 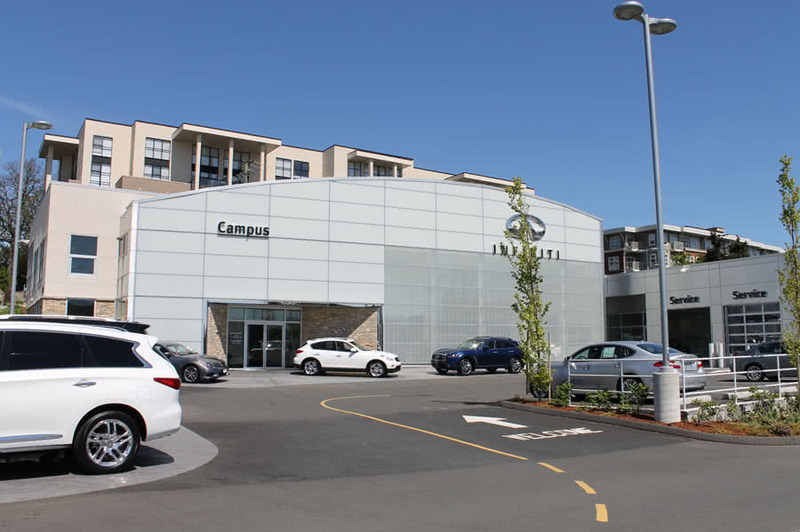 The new dealership is a two storey building approximately 10,000 square feet in size with a feature glass wall to showcase the showroom. The project included a new showroom, service desks, sales and administration offices. Project value $2,750,650.